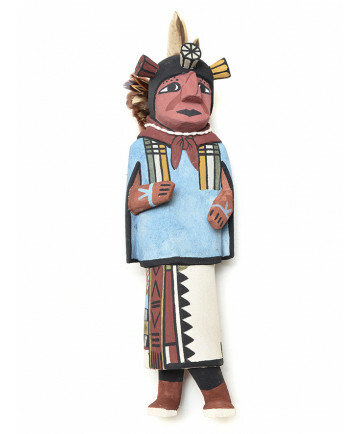 This Kachina is thought to have originated in a story about a man from Second Mesa who had a crippling disease which left him barely able to walk. Despite his affliction, he was cheerful and always eager to help others. His clothes are always ragged and he is noted for his humorous demeanor.